A draft order has been circulated by Justice Eva Wanasundera through her secretary pertaining to the highly controversial Golden Key case, the Colombo Telegraph reliably learns. Upon hearing the submission made by parties on November 3rd, Justice Wanasundera has circulated a “draft judgment/order” regarding the initial objections made by Respondents including former Ceylinco Chairman Lalith Kothelawala. The usual precedence is for the judge presiding to write the said “order or judgement” and to circulate it among his colleagues. Justice S. Sripavan is the presiding judge of the 5 judge bench. Justice Wanasundera has sent hard copies of the said order through her secretary to the other judges despite Written Submissions called for regarding the preliminary objections yet to be filed by the parties. Two judges have raised the question how she had drafted the judgement without even receiving the written submissions of the parties. Earlier, on November 3rd, Counsel representing Lalith Kothelawala and other Golden Key Directors took preliminary objections against the Petition filed by Depositors saying that it had the President named as a Respondent and was therefore void ab initio. Responding Counsel for the Petitioners said that the deposed Chairman and Directors are seeking to hide behind the immunity of the President instead by raising up the Preliminary objection. Written Submissions were called for by the Court regarding the above objections. The court is to make an order on the above before proceeding to hear the case. The Golden Key case has been at the centre of controversy with most recently, Mohan Pieris stepping down from the bench citing a “defaming letter being circulated around”. 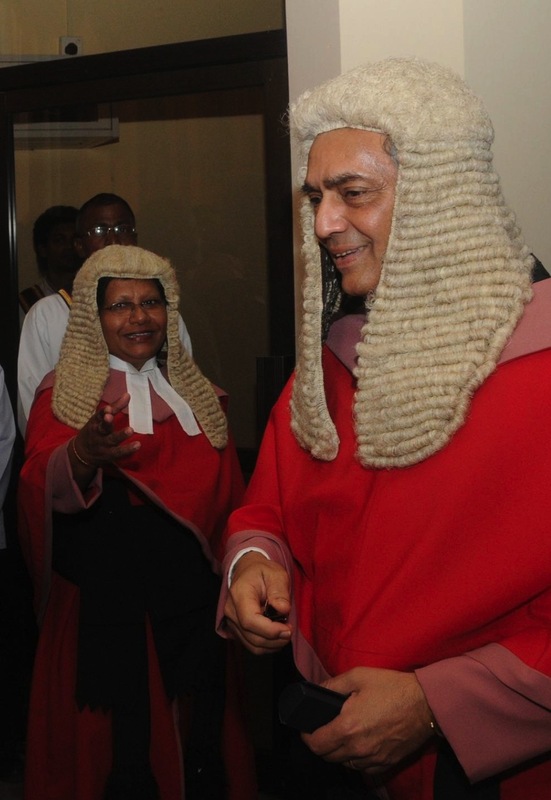 The Golden Key depositors who seek to claim innocence played a mega role in the media blitz leading to the ousting of former Chief Justice Shirani Bandaranayke and the assumption of the office by Mohan Peiris. Despite the above drama, both Lalith Kothelawala and his wife are yet to be tried by any court for the crimes committed. 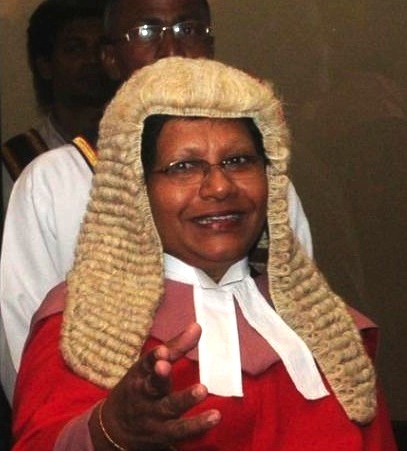 This Eva Wanasundara was the most incompetent AG ever. At one point she resigned on the grounds of depression after child birth but was taken back. She as AG protected timber dealers and accused persons who were lucky enough to be old boys of Pannipitiye Dharmapala, which was her school. There is no wrong in Eva writing the judgement. Any member of the bench can write the judgement. This alarming fact is writing it before reading the written submissions of the parties. I don’t think she will, as a judge would do that. I feel that this news may be not correct. What a racket of a judicial system we have. We talk of Western Agendas that undermine Sri Lanka. Being Sri Lankans MR & Mohan Pereis’s agenda perhaps are more threatening to the people than the International ones. family members of the nearly 10,000 middle class depositors defrauded by Lalith Kotelawala’s egoistic misadventures. Depositors have suffered far too long. Some have committed suicide, some died out of mental stress and others going through indescribable suffering. Any Govt. sincerely inclined towards helping these depositors will not delay paying them the balance of their deposits and reasonable accrued interest before the end of December. 6 years in abeyance is far too long. It is time this game of passing the buck is done away with. Let us not play with the lives of innocent depositors. This is a national disgrace. The most moral step is for the state to step in, buy the rights of the Golden Key Depositors and relieve them first. Thereafter the State will fight with the Golden Key, do whatever that has to be done and recover the money back. DO NOT LET THE INNOCENT DEPOSTORS SUFFER.